JHAPA, Dec 21: Food products prices in the market are ever increasing. Because of soaring prices of rice, pulse and vegetables, managing two meals a day has become a challenge for the poor. On the other hand farmers are forced to sell their produce at cheaper rates. 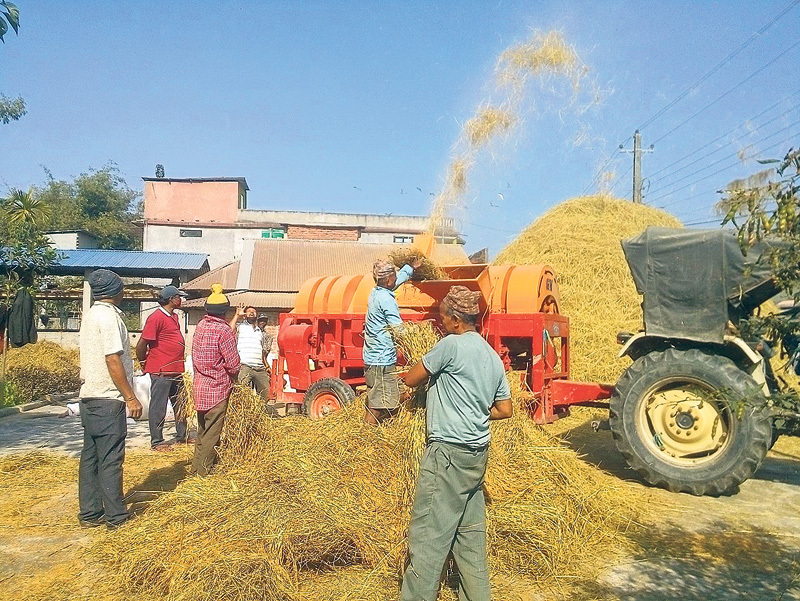 Paddy farmers in Jhapa lament that due to the gross negligence of government bodies, every year they are deprived of returns from their produce. Rai accused the government turning dumb and deaf when it comes to securing the farmer's interests. Even though they have been facing loss, year after year, because of the sluggishness of concerned authorities, the government remains indifferent, he said. Farmers like Rai have been left in the lurch due to the inability of concerned authorities to fix inter-ministerial row. Two months ago the Ministry of Agriculture (MoA) had fixed price for paddy. Though the prices were not as they expected, it was somewhat close to the farmer's expectation. “The prices proposed by the ministry were not actually what we expected. But still they were better and we were really hopeful of getting better prices for our produce this year, than last year,” Rai said. It seems that we are not going to get appropriate price of our sweat and blood even this year also. 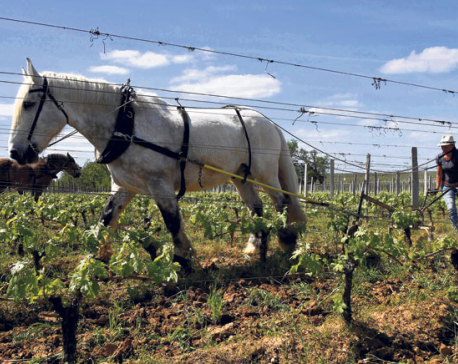 What's the use of working so hard in the farms if it does not pay off? A senior official at the MoA said that the ministry had proposed better prices for paddy this year by considering the long-held grievances of the farmers. However, the MoS rejected the proposed prices claiming that traders would not accept them. “Officials at the MoS claimed that it would be of no use if the prices are not accepted by traders for purchasing paddy from farmers and government. In such a condition, the government would also be not able to buy paddy from the farmers,” he said elaborating on the unresolved standoff. In its proposal MoA had proposed to provide Rs 828 for 40 kg of paddy, with slight variations depending on the quality of the rice. As the proposal was rejected and new prices have not been agreed, farmers are presently selling 40 kg of paddy at Rs 650. 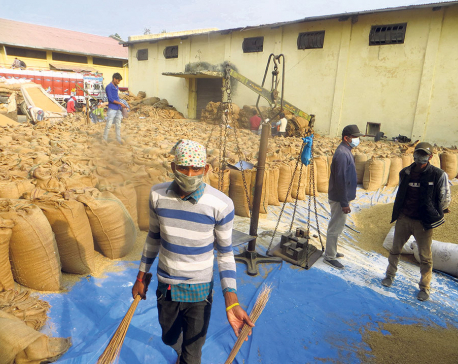 Ranjit, a paddy which sells at expensive rates in the market, is fetching no more than Rs 700 per 40 kg, farmers say stating that price does not even return their investment. District Agriculture Office informed that paddy was planted in 87,500 hectors in the district this year. Only half of this land has irrigation facility. “Yield in farms without irrigation facility is very poor. This affects the earning of a farmer,” said Madeni Prasad Baral, a farmer from Birtamod. “We are given neither fertilizer, nor saplings nor irrigation facilities by the government. And on top of all these woes, the government does not even fix the minimum price benchmark for selling our produce,” he lamented.